From 10th-13th of September, I was lucky enough to be at one of the UK’s essential festivals- the aptly titled Bestival. 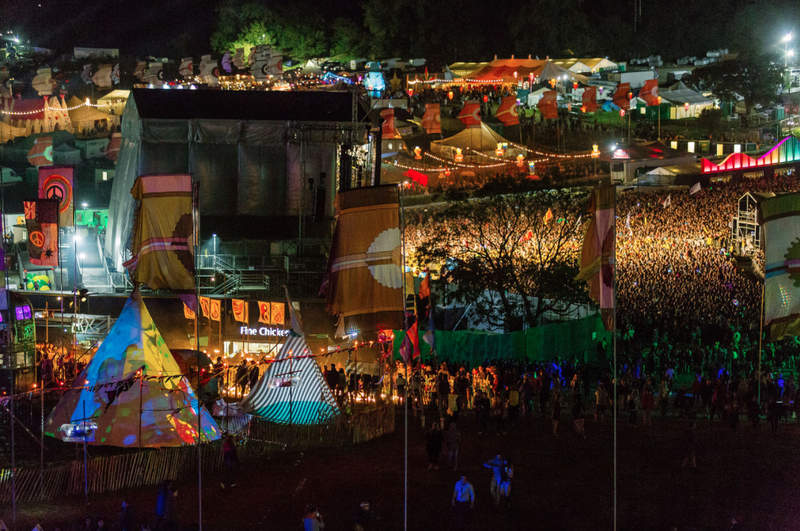 Situated on the Isle of Wight, and curated by famed musical guru Rob Da Bank, the extensive lineup spans an array of genres, in which boasting past headliners such as Elton John, Outkast and The Prodigy. 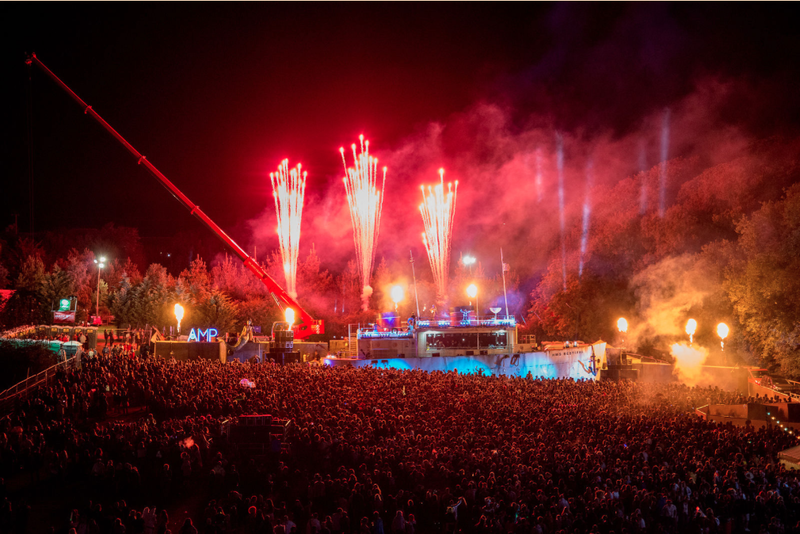 Set to perform at this year’s shindig include headliners Underworld, Duran Duran, The Chemical Brothers and Missy Elliot, as well as Skrillex, Boy Better Know, Tame Impala and The Jacksons. The idea of a festival situated on the Isle of Wight is both a gift and a curse. While it adds an added dimension of escapism and feels more like a holiday, it’s an absolute headache in practice. Leaving my house in Surrey at 9:30am, including travelling, queuing and all else involved, I finally arrived at my camping spot at 6:00pm, which left with me with little-to-no energy and enthusiasm once I’d finally set up camp. It’s also worth noting that I missed quite a number of acts on Thursday due to a poorly executed ticket collection service, as well as ridiculous and over-the-top security checks. Despite its reputation and popularity, there are noticeable flaws to Bestival. Two of the most glaring problems are arguably some of the most important- the stages, and the artists’ set times. For example, Flying Lotus, who has some of the most atmospheric music around at the moment, to be placed on the main stage as apposed to a tent is nothing short of ridiculous. The hazy psychedelic stylings of Tame Impala being crammed into a tent late at night, as apposed to a sunrise set on the main stage is also a glaringly shocking choice. As well as this, there are serious design flaws to a lot of the stages. The ipso-facto lead choice for electronic music, Bollywood, was a horrendously claustrophobic, low-roofed sauna that on more than one occasion filled up beyond safety, and this was something that continued to frustrate throughout the weekend. Temple Island was also a woeful venue, with a huge pillar rocking its fancy logo blocking the view for most of the audience outside the tent. The acoustics, bass and punching sound of Temple Island failed to reach me thanks to its badly angled speakers, with the nearby Diesel Only The Brave stage’s sound also bleeding over, making Hudson Mohawke‘s performance one to forget. Negatives aside, the festival itself is an absolute picture of contemporary culture. Perfectly incorporated into beautiful British countryside, an array of attractions, entertainments and arts are in abundance, all brought together in the glorious sunshine; which didn’t let up until the last night of the festival. With this comes an organic ‘feel-good’ vibe that really is impossible to manufacture, and enforce. Somewhat surprisingly, the fairly heavy corporate sponsorships do not blunt this at all either, and if anything the presence of Nando’s and Halfords are something of a God-send. Prices are a highlight of Bestival and is something that really sets it apart from other festivals. While a standard ticket is the expected £200 for the weekend, there is also an option for a student ticket, as well as an instalment plan or choice of a cheaper early bird ticket. At the festival, the incredible £1 for a can of drink or water is something dreams are made of- with every festival in the country refusing to budge on the price of £2.50 a bottle. Other amenities at fair [festival] prices include camping chairs at £10 rather than £20, or ponchos for £1 as apposed to £10. While I certainly do have a few criticisms of elements that are particularly flawed, there’s no getting around the fact that Bestival is an amazing event. The vibe and people there are unparalleled, reaching for the likes of Glastonbury, with most people apologising for stepping on your foot, or saying ‘excuse me’ for pushing past you in a crowd, rather than giving you an icy stare. Every detail of the four-night event is intricately thought out, no more epitomised by The Port stage (pictured above). It takes the appearance of a tug boat, in which sporting over-the-head acrobatics, elaborate dance troupe and incredible light displays. If Bestival wasn’t already a front-runner for your 2016 festival, it really should be.